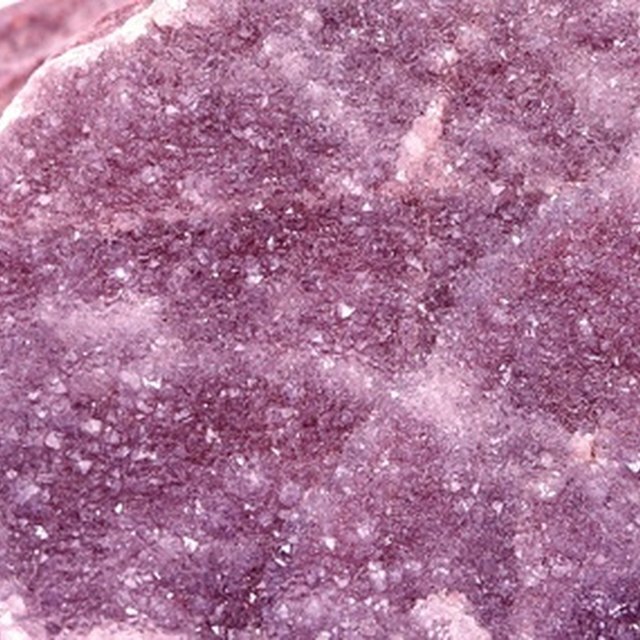 What Is a Pink Amethyst? What Kinds of Gems Are Brown? 1 What Is a Pink Amethyst? For millennia, crystalline gemstones have been prized all over the world as beautiful fashion accessories and even as luxury art decorations. They have decorated the outfits of royalty, adorned great works of art and architecture, and been revered as sacred relics. Today, crystalline gemstones are used primarily for fashion purposes, although artificial crystals have a variety of technological uses as well. 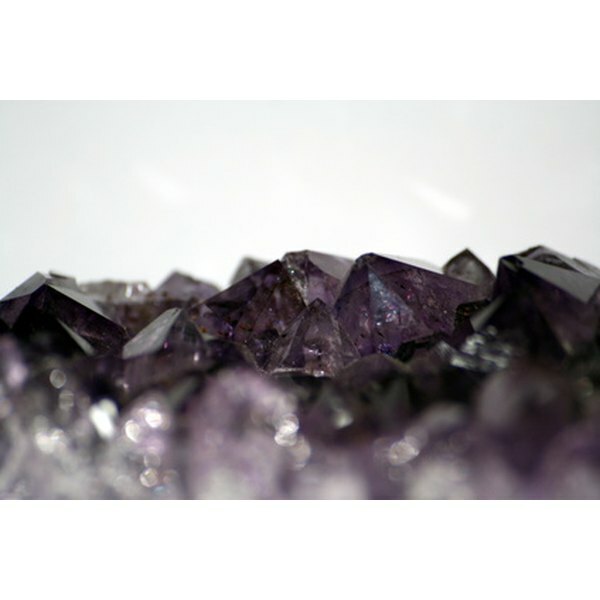 Some of the most popular and valuable crystals are still used for jewelry and accessories. Lists of birthstones, ancient and modern, also describe popular crystals. Perhaps the most recognizable and popular crystal in the world, a diamond is crystallized carbon, and it is the hardest naturally occurring mineral. Diamond is also the only gemstone for which there exists a standardized system of appraisal. Diamonds are graded on four factors: color (the clearer and more colorless, the better), clarity (the fewer impurities in the crystal, the better), cut (quality and angle of facets) and carat (size). Rubies and sapphires are both composed of the same mineral: corundum. Rubies are red corundum, while sapphires are a catch-all category for any non-red corundum. Sapphires tend to be blue or purple but can be found in other colors, such as yellow, pink or green. The corundum crystals are the second-hardest gemstones after diamond. Ruby, in particular, is one of the most expensive gemstones, rivaling diamond in its larger sizes. Jade actually comes in two varieties: jadeite and nephrite. Jadeite is the rarer of the two minerals and tends to have a greater range of color, and is thus more highly prized. Nephrite, while less valuable than jadeite, is harder. Neither jadeite nor nephrite are transparent and thus always tend to have a foggy coloring. Aquamarine tends to have light coloring, ranging from clear to blue or blue-green. The most valuable varieties are those that are either clear or saturated with color. Although clear aquamarine is considered the best quality, aquamarine crystals with impurities can be valuable if their color is attractive or the impurities form distinctive "cat's eye" or star patterns. Peridot is unusual among crystalline gemstones, because its color results not from impurities in its crystal but from the chemical composition of the crystal itself. Thus, peridot is only found in one color: green. Like aquamarine, peridot's color is caused by iron within its crystals. Peridot is, however, not very hard and thus can be difficult to use in jewelry. Topaz is a versatile and sturdy crystal that comes in many colors. Its hardness (among the hardest of gemstones) makes it suitable for a wide variety of jewelry applications. The most common color of topaz is reddish-yellow, while the most rare and valuable is pink. Blue tends to be the most popular type of topaz and can be created artificially by irradiating naturally colorless topazes. Paul Riggins began writing professionally online in 2010. He is a certified technical writer and editor and a graduate of the University of Washington's Human-Centered Design and Engineering program. He currently focuses on technical writing and fiction. What Is the Luster of a Diamond? What Are the Differences Between Fake Jewelry & Real Jewelry?